Bluestack is a very heavy software and needs high end system configuration for its proper functioning. It requires at least 2 GB RAM and a good graphic card to run all the android apps smoothly. 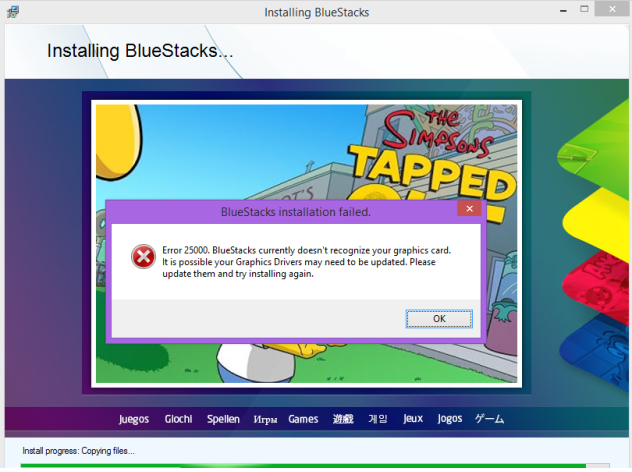 Therefore, many people could not install Blustack due to “Bluestacks graphic card error 25000“. This generally occurs in case of Windows 7, 8 and 8.1 users. 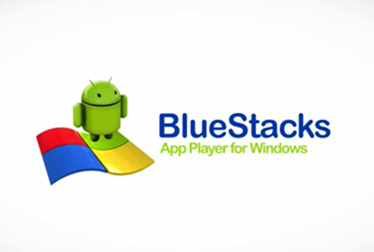 But if you are one of them who have fulfilled all the necessary requirements of Bluestack but still cannot install it due to “Bluestacks Graphic card Error”. You can read this article further to fix Bluestacks Graphic Card Error 25000. For those who are installing Bluestack through the Split installer, the message says “Error 25000. 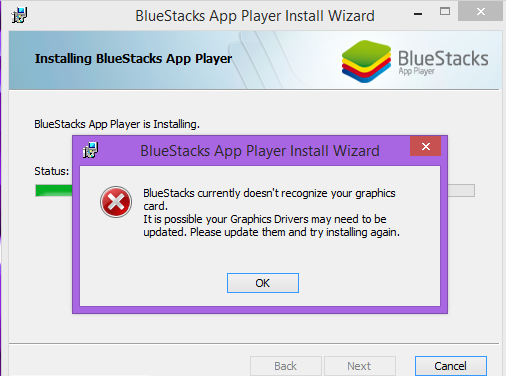 Bluestack currently doesn’t recognize your graphic card. It is possible your Graphics Drivers may need to be updated. Please update them and try installing again“. Also Read: How to fix error 927 while downloading apps from google play store. Microsoft’s Proprietary Direct 3D– It is used to run Windows and constituent applications. Open GL– It is used to run android apps in emulators like Bluestack. So, if you don’t update your windows regularly, the Open GL didn’t get updated as often as Direct 3D does. Hence, Bluestack does not recognize your graphic card. Sometimes, migrating from one Window to another can also degrade your Graphic card. So, you need to update Open GL Graphic Card manually. Also Read: Download & Install Whatsapp on Windows PC- 7/8/XP/Vista: Step-by-Step Guide. Update your graphic card driver: You should update your graphic card as it is necessary to enjoy new softwares and features. If your graphics card driver is most updated, Bluestack will be installed successfully. Use the following links to auto-update your graphic card drivers. Enable the Java in the browser before upgrading them. Update your DirectX: Try updating your DirectX and see if it helps. Power Plug-in your Laptop: If you are using a laptop then make sure the laptop is connected to power plug-in. Since graphic card demands high power intensity which is not facilitated by the laptop batteries, therefore android apps may not function properly. So, try to connect your laptop with live power source and then run android apps or games. Install the older version of Bluestacks: The older version of Bluestack does not require as higher end system requirement as the new version asks. You would successfully install it without getting any Graphic Card Error. But there is only one con. You would only be able to install and run basic apps like Whatsapp. Heavy apps like Temple run or Fruit Ninja wouldn’t be compatible. Link to bypass error 2500 | Install Bluestacks in 1 GB RAM & Without Graphics Card. NOTE: This trick only works in Bluestacks Offline installer not on split installer. Change your Graphic Card: If all the tips and tricks do not work, then you need to change your graphic card to run Bluestack in your System. Also Read: Download line full version free for pc (windows 7/8/xp). Previous articleHow to know and cancel pending friend requests in Facebook.